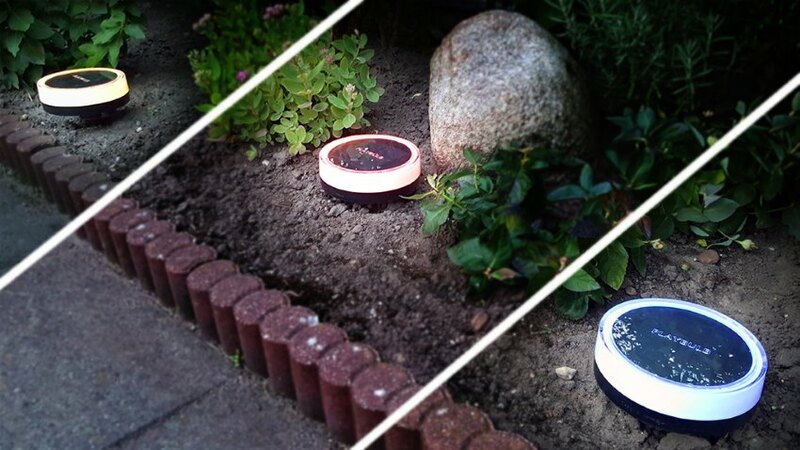 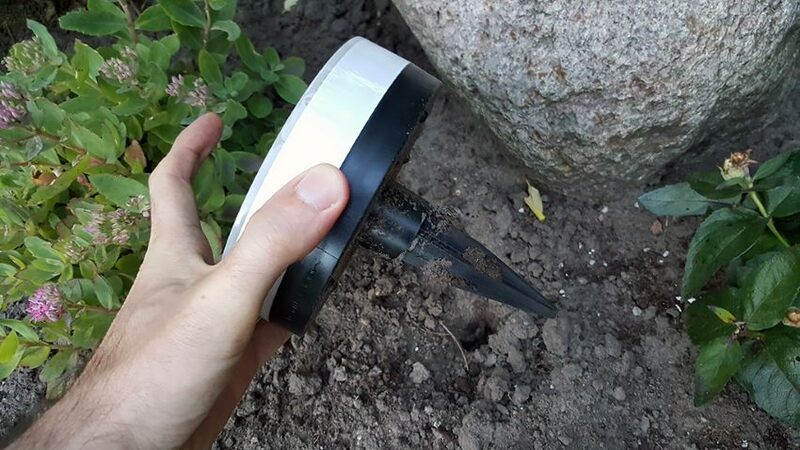 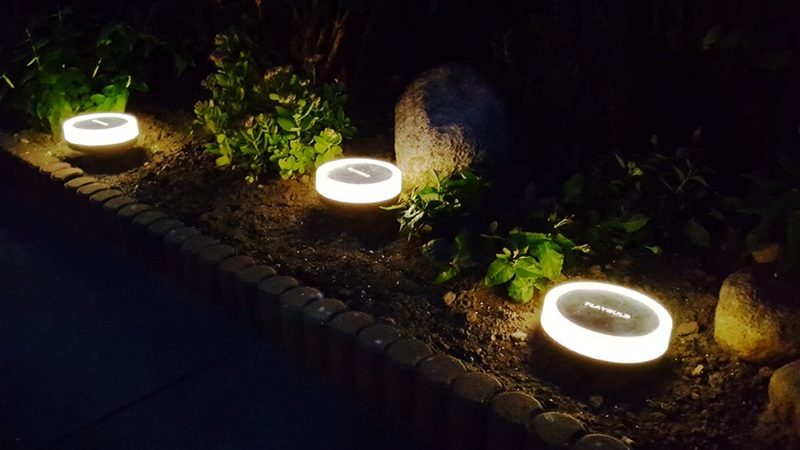 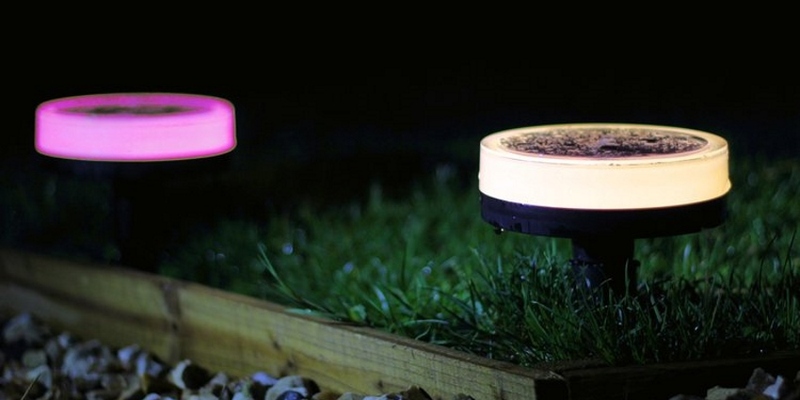 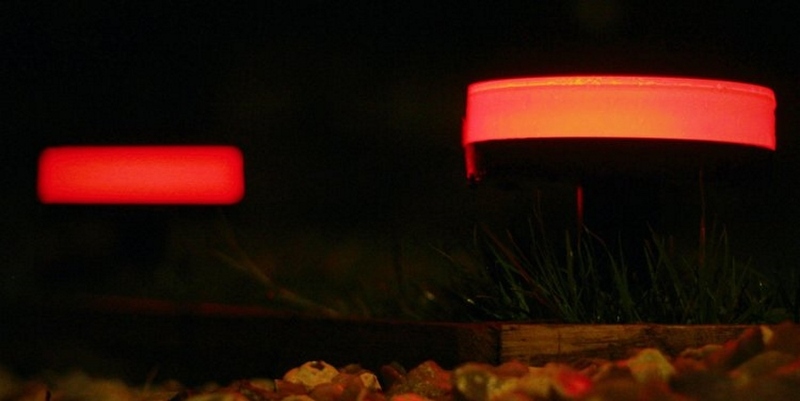 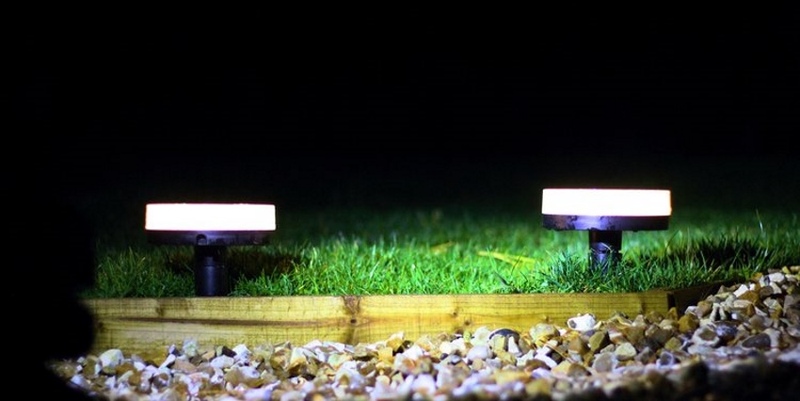 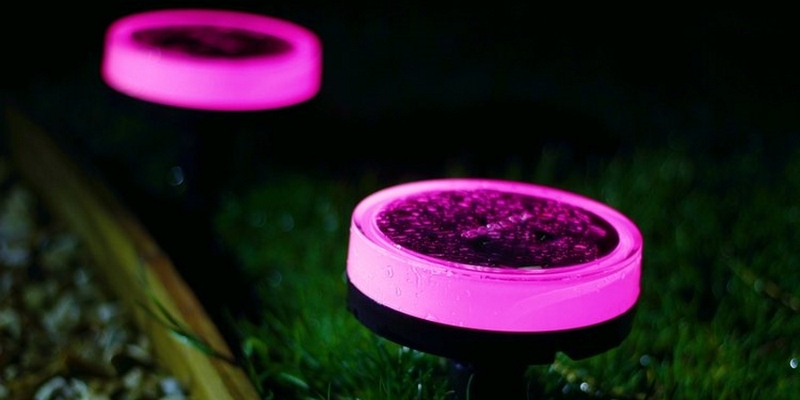 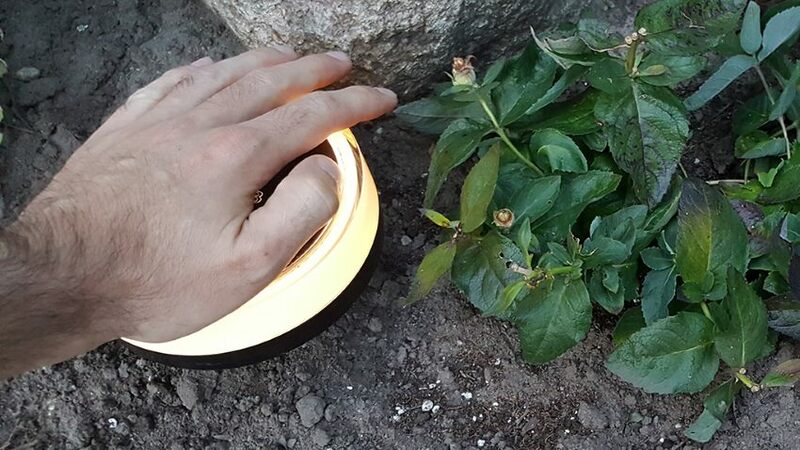 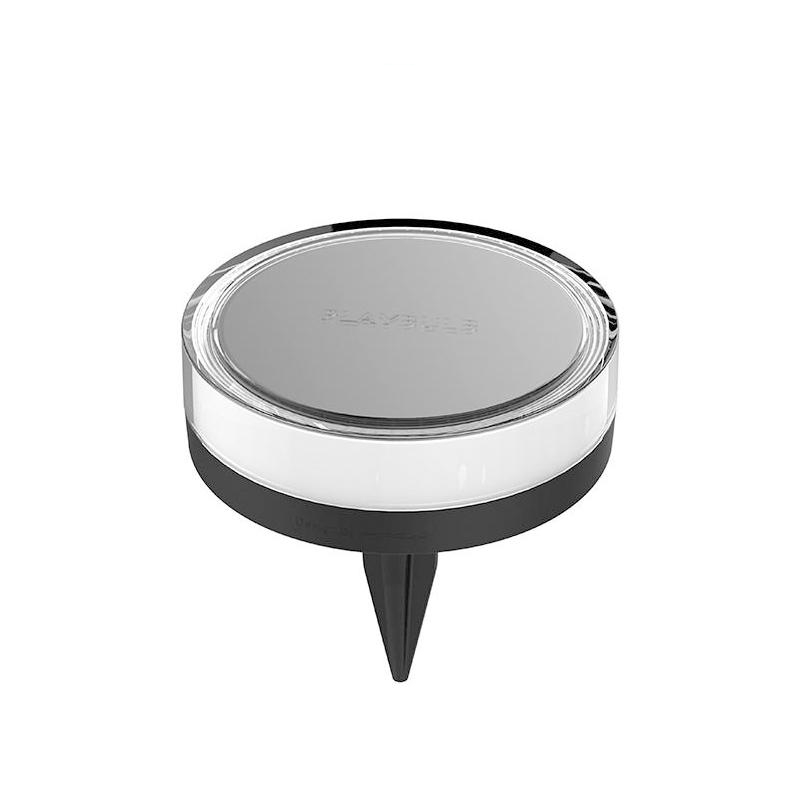 Solar powered smart color LED garden light with auto on/off feature. 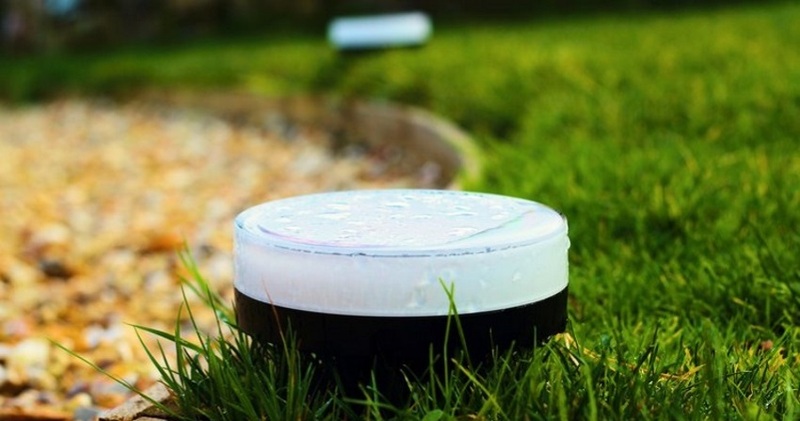 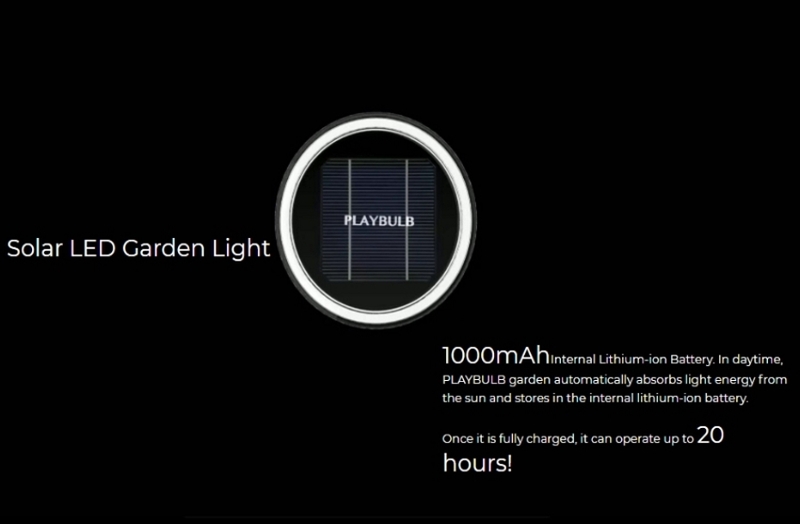 Once it is fully-charged, it can operate up to 20 hours. 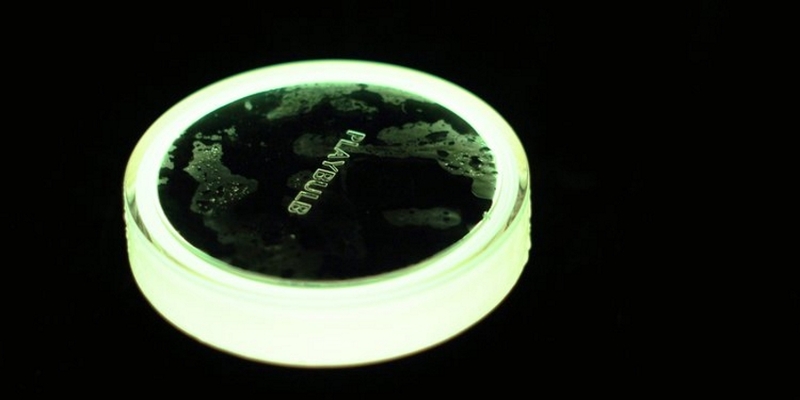 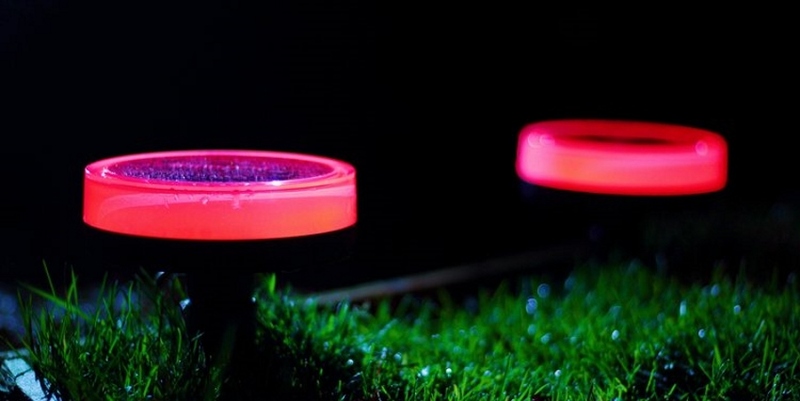 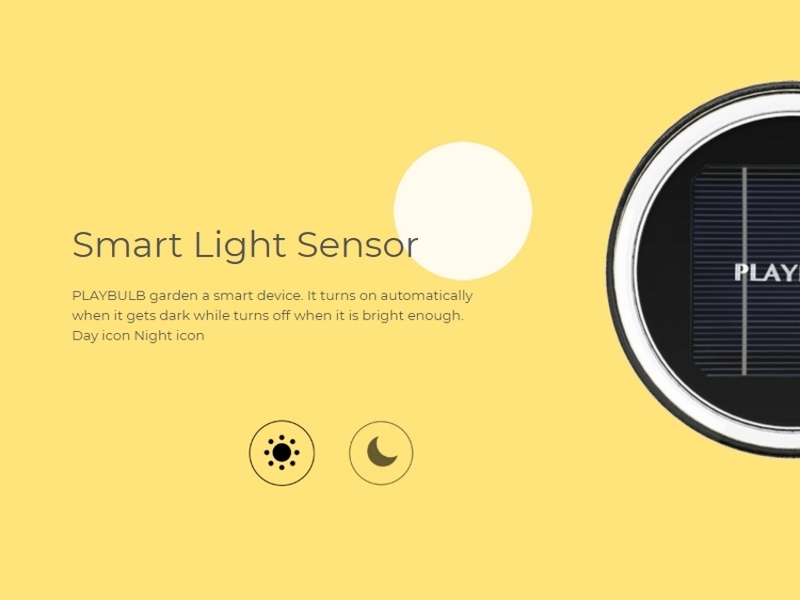 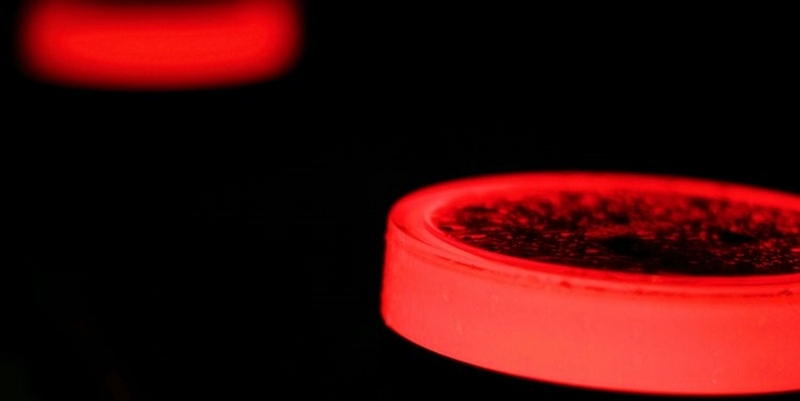 With built-in light sensor, it turns on automatically when it gets dark while turns off when it is bright enough. 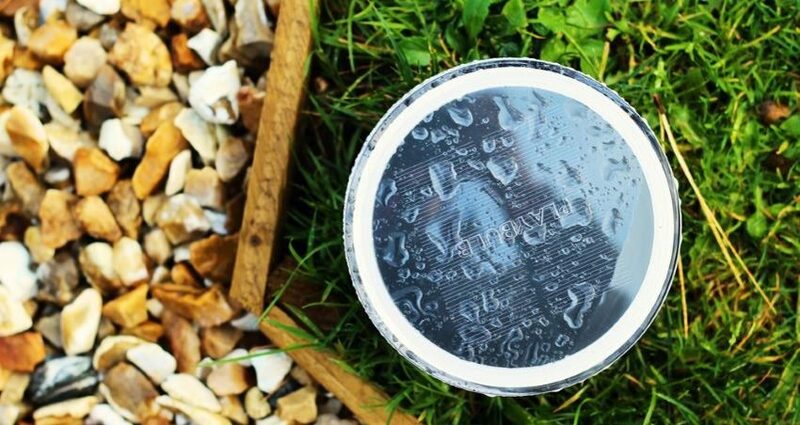 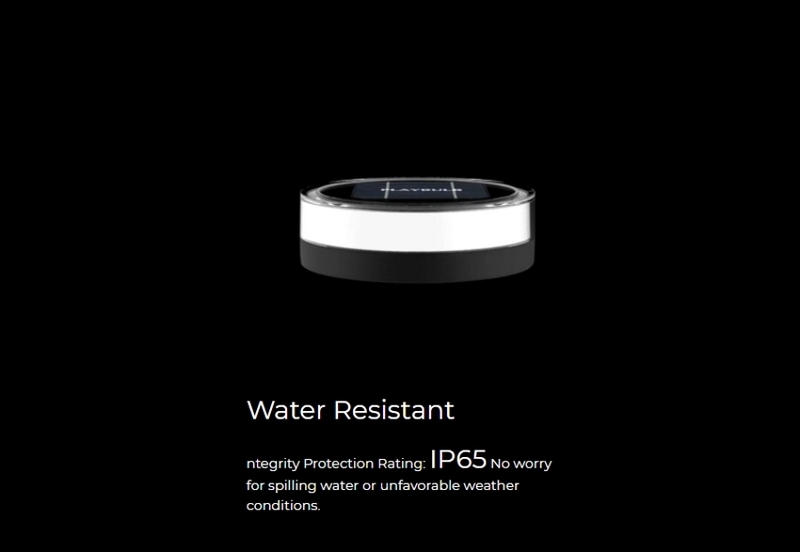 Water Resistant - Classified by Integrity Protection Rating IP56, it is water resistant for indoor or outdoor use. 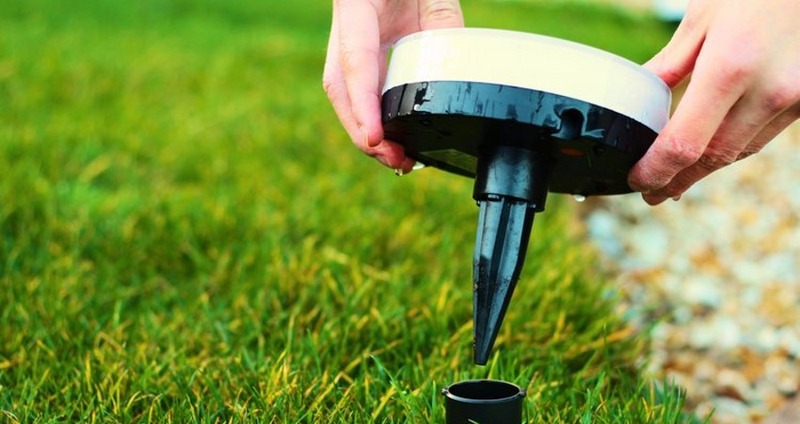 No worry for spilling water or unfavorable weather conditions. 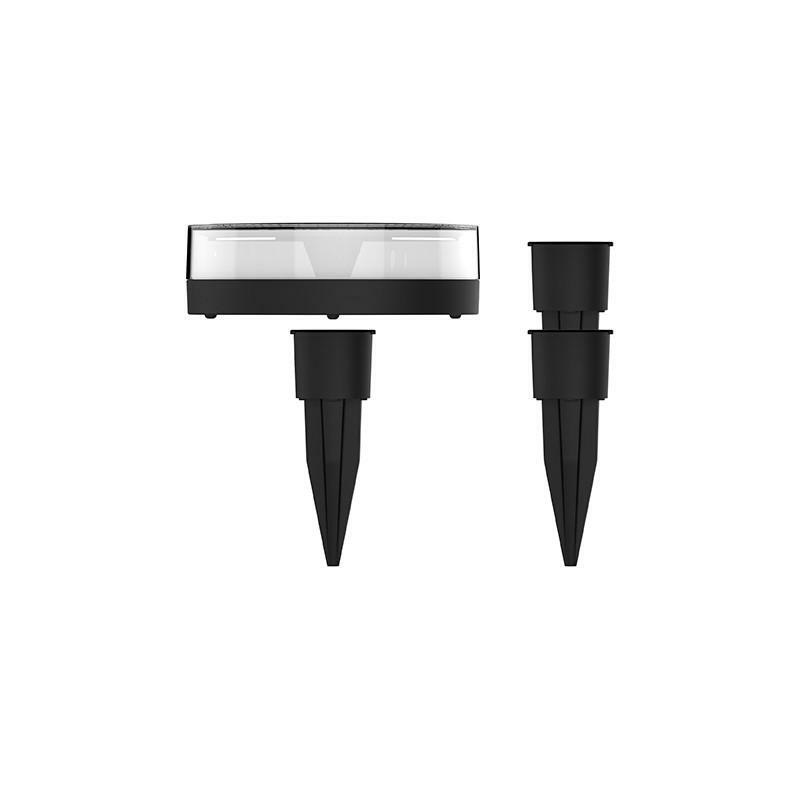 Easy Installation -- Extensible monopod garden pegs allows more flexibility for installation. 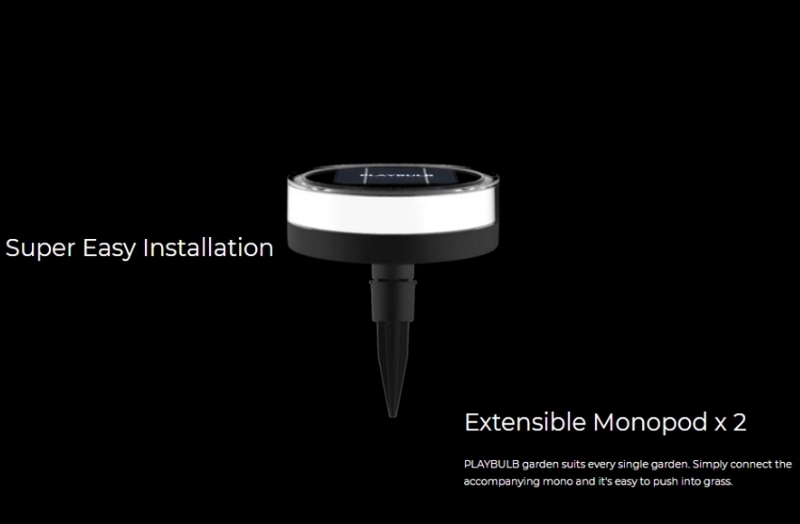 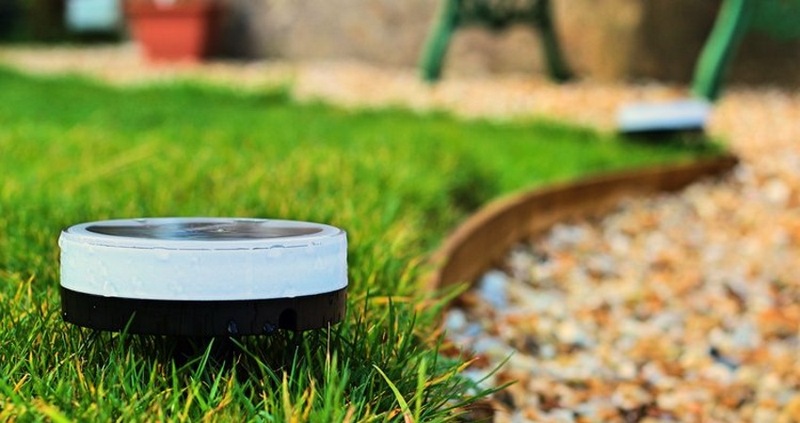 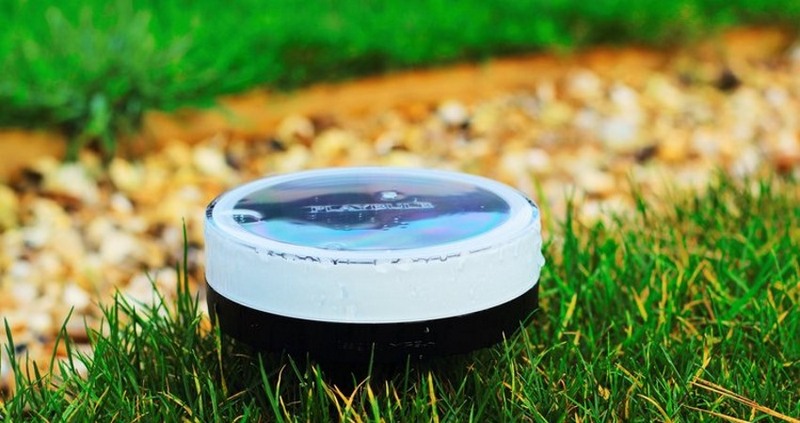 Simply connect the accompanying monopod and it's easy to push into grass. 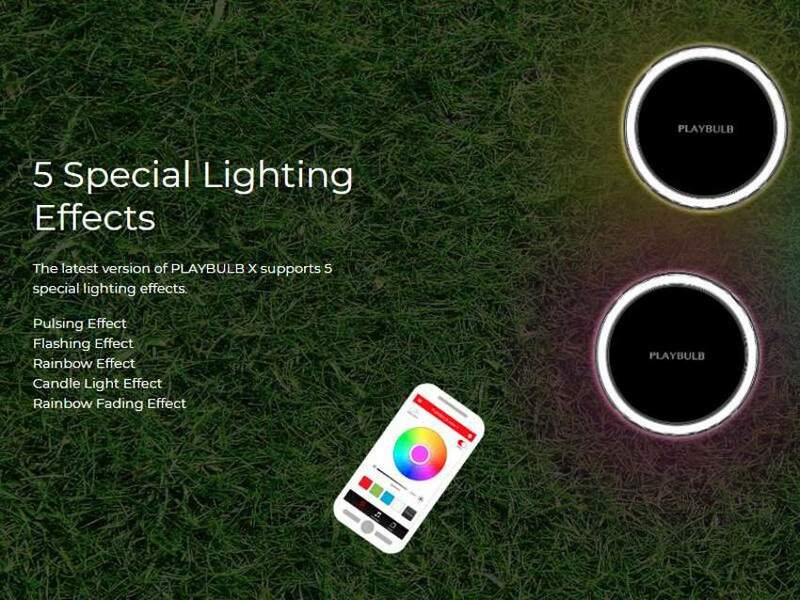 You can also remove the monopod if you just want to place the light directly on the ground or other place. 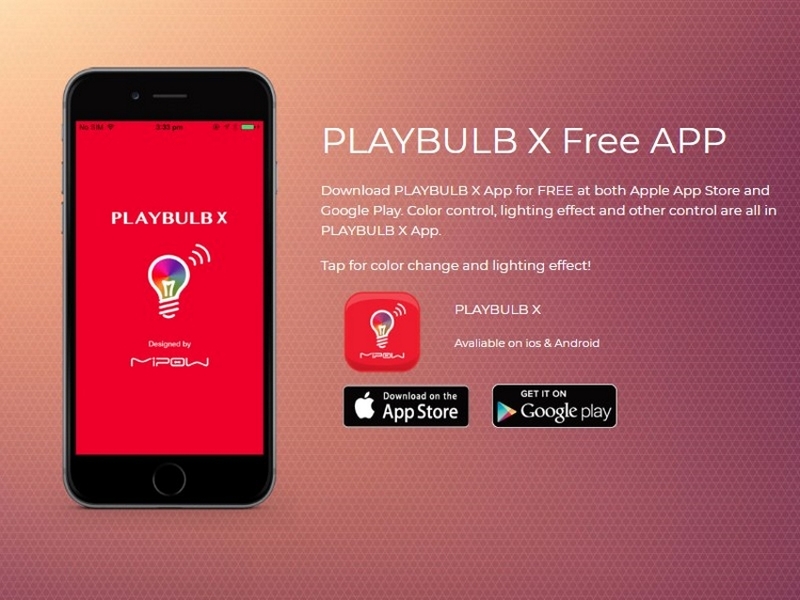 With the app, control the light on / off, colors, effects, timer etc. 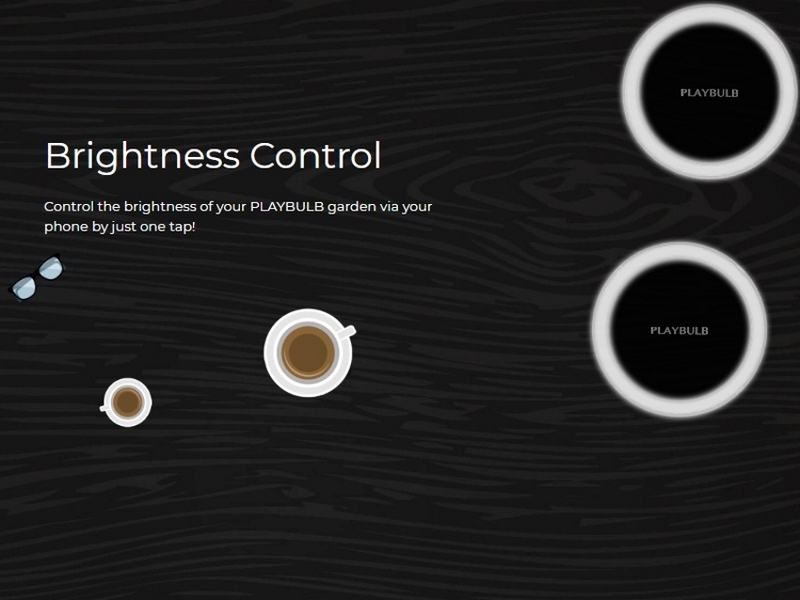 You also can GROUP CONTROL multiple PLAYBULB Solars to share the same color and lighting effect! 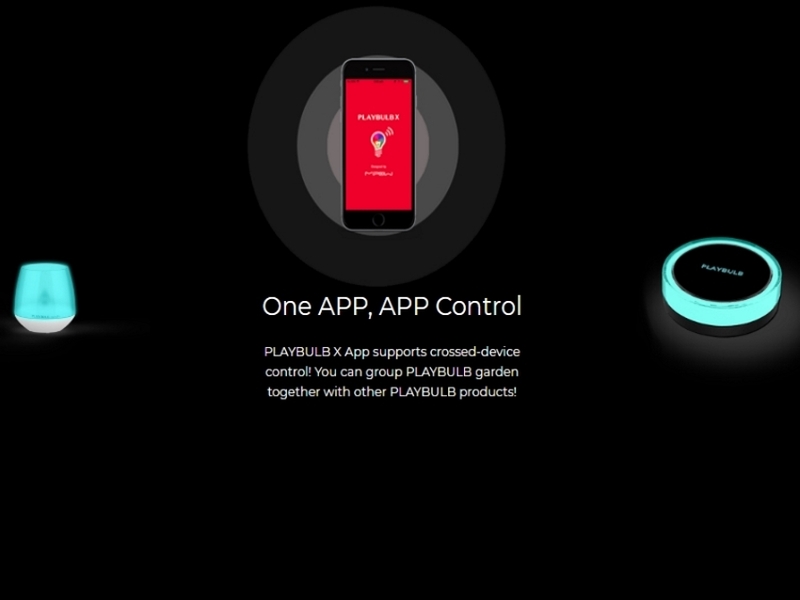 It supports OTA (over the air) update. 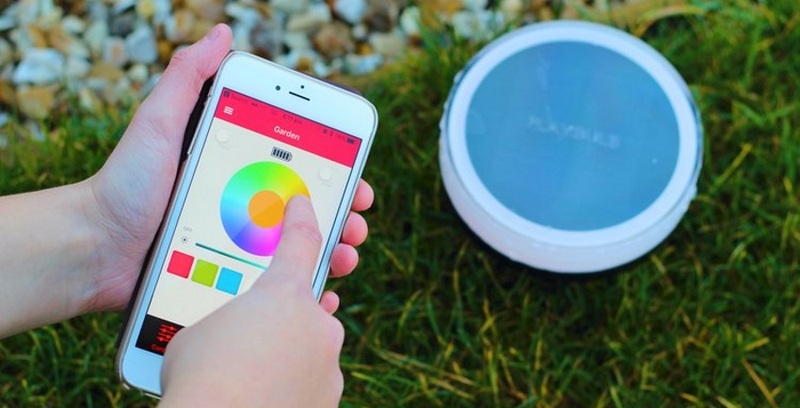 Shake To Change Colors -- Shake your phone to change random colors. 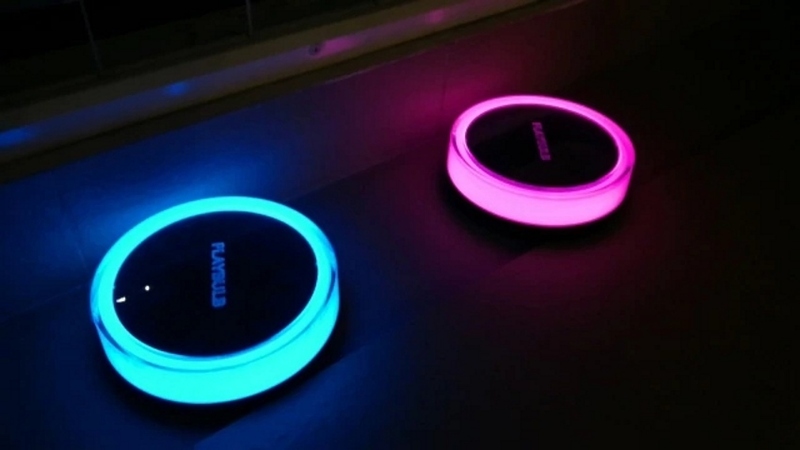 Let’s shake! Watch meteor shower together in Valentine Day! 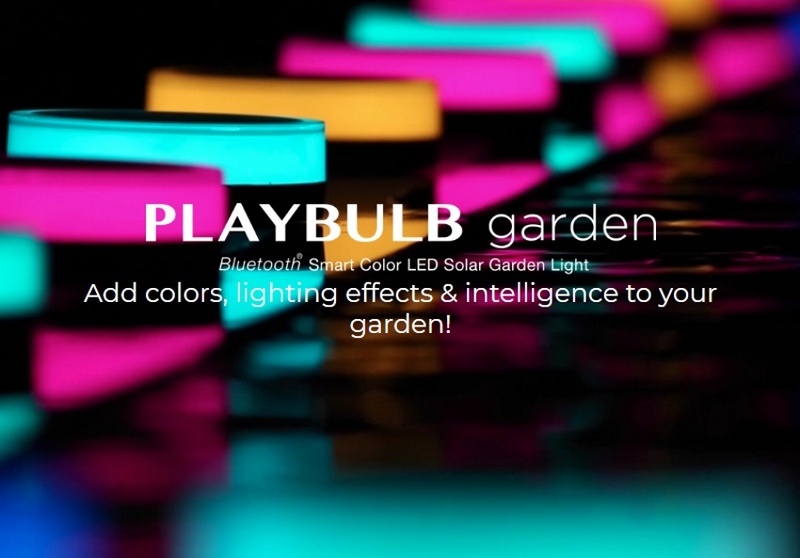 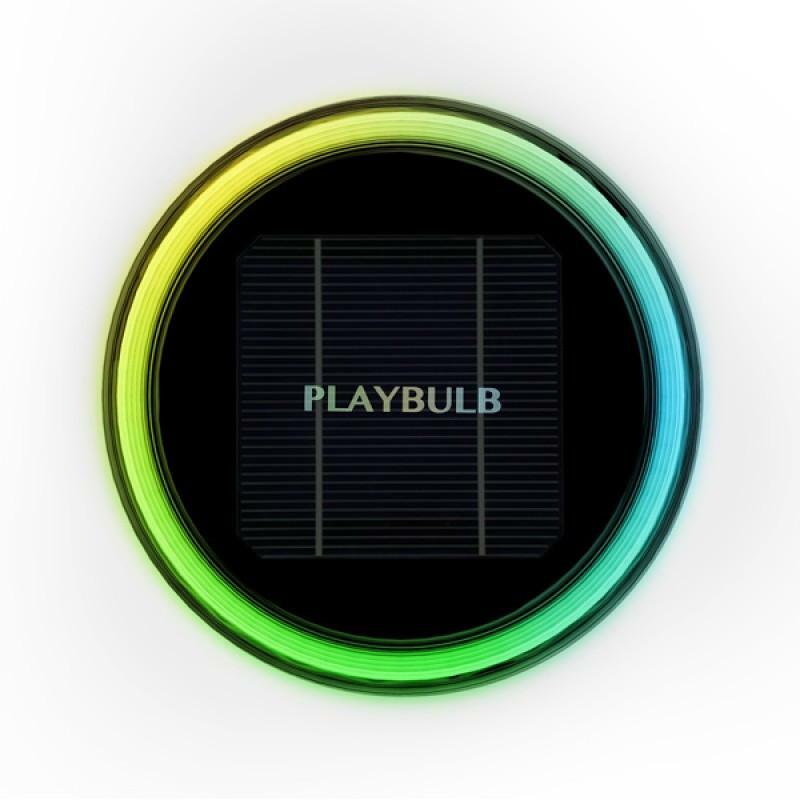 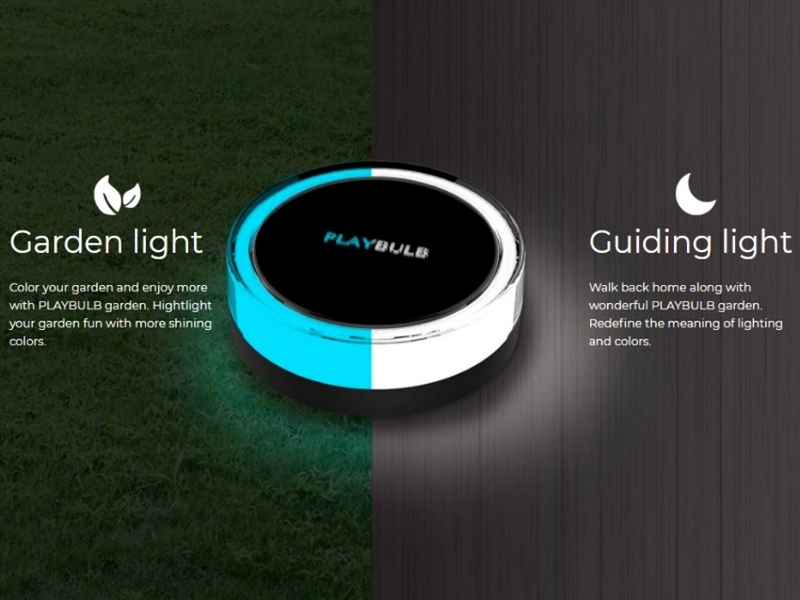 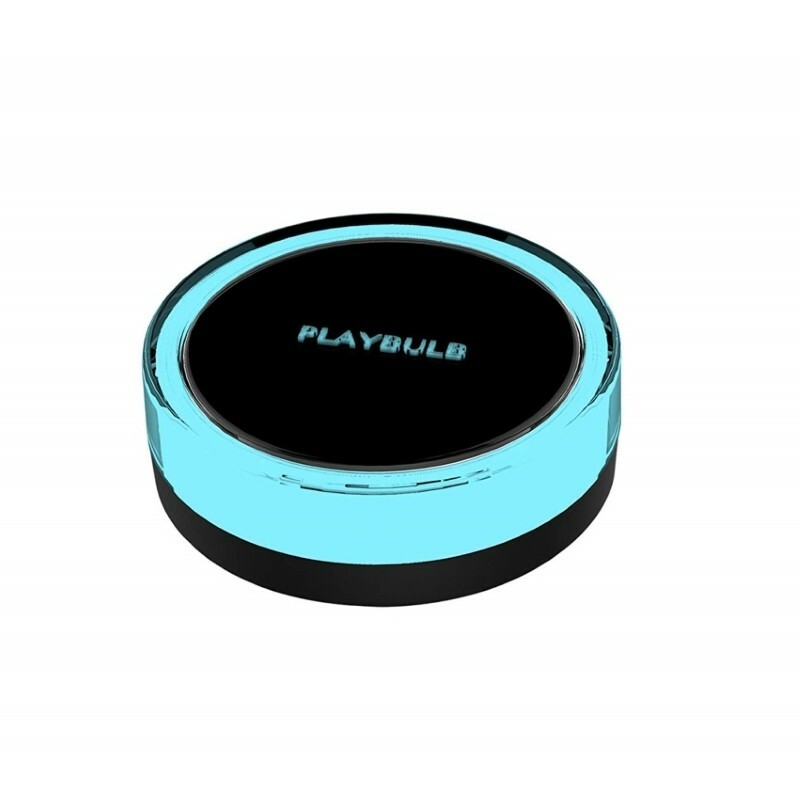 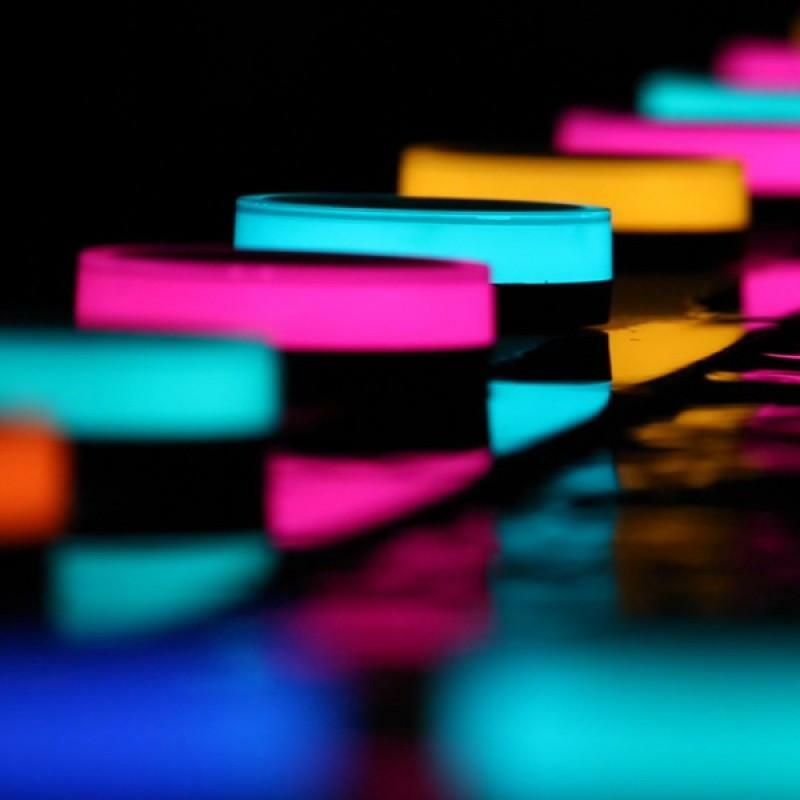 PLAYBULB Solar adds colors around to create nice mood! 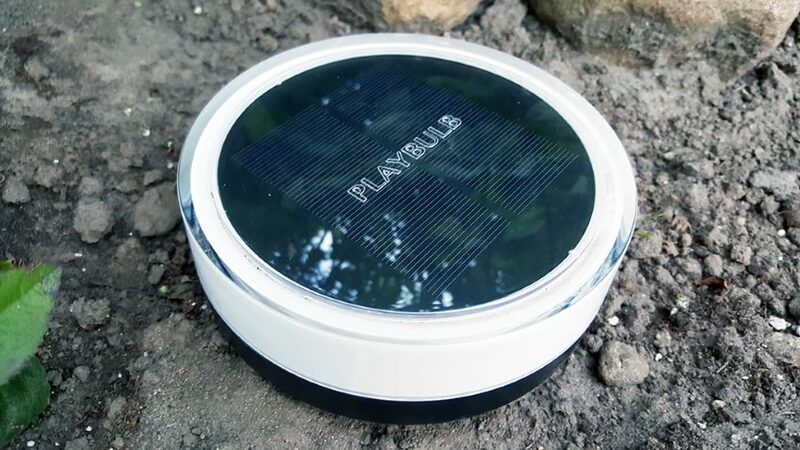 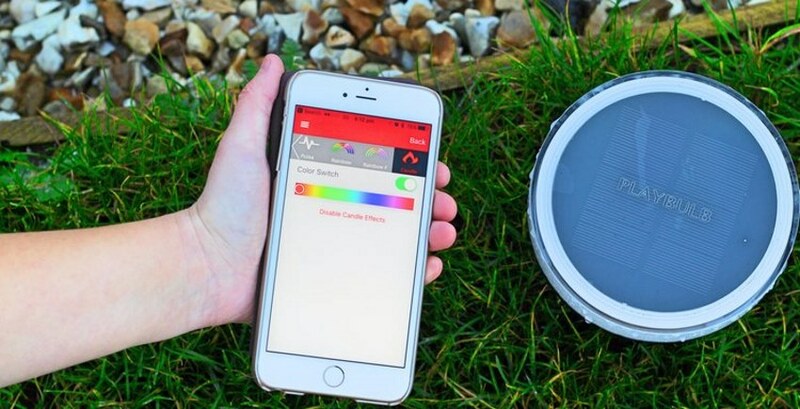 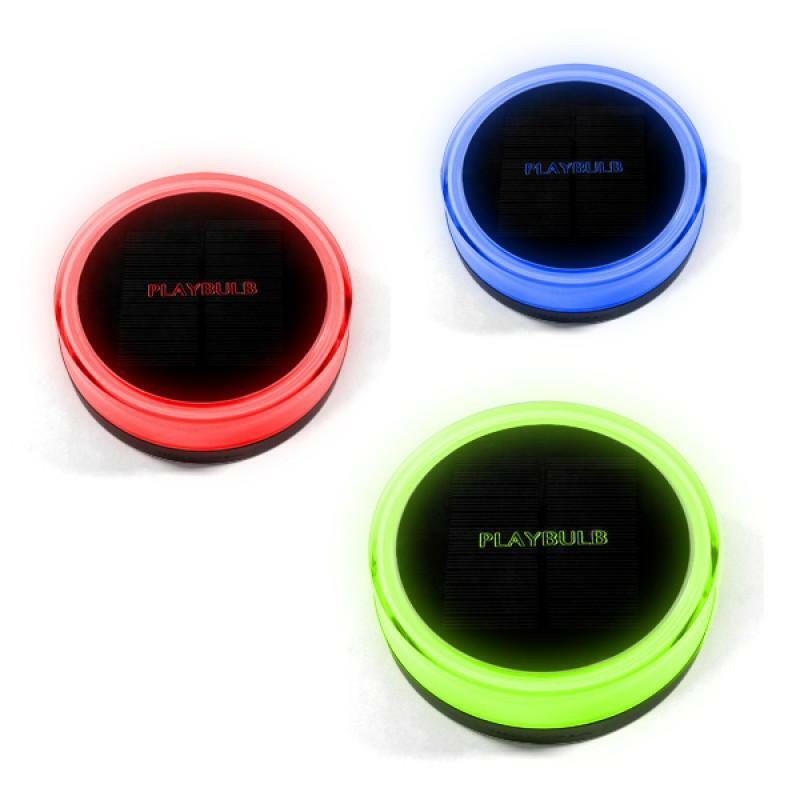 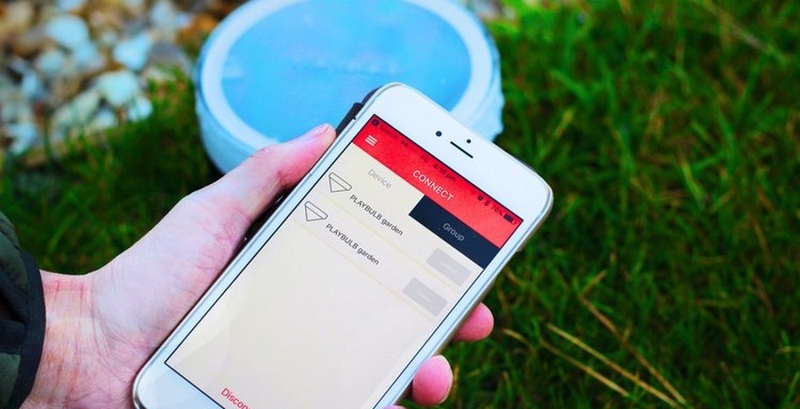 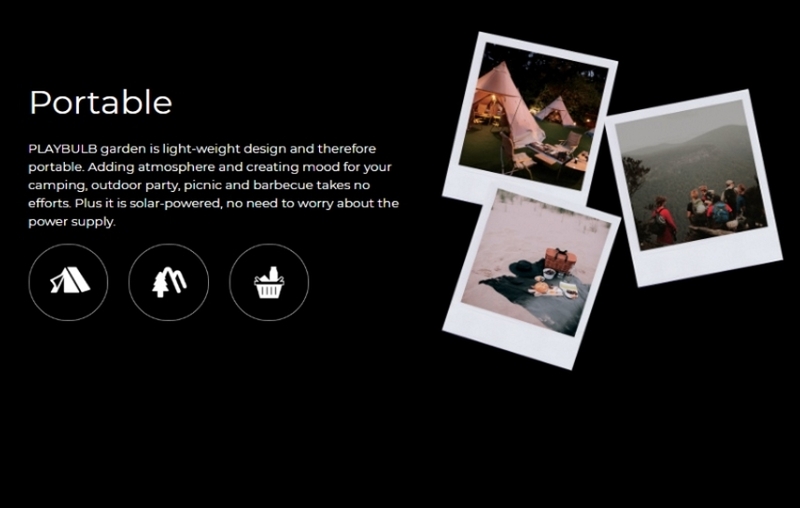 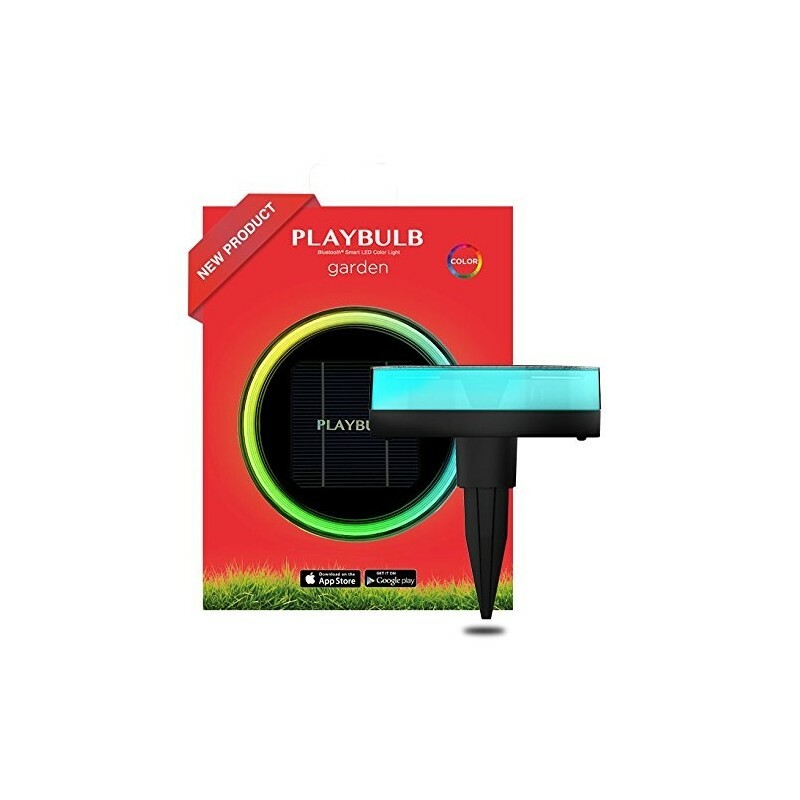 Plug several PLAYBULB solars around your tent, no worry about light and color effects at night, all can be controlled via App. 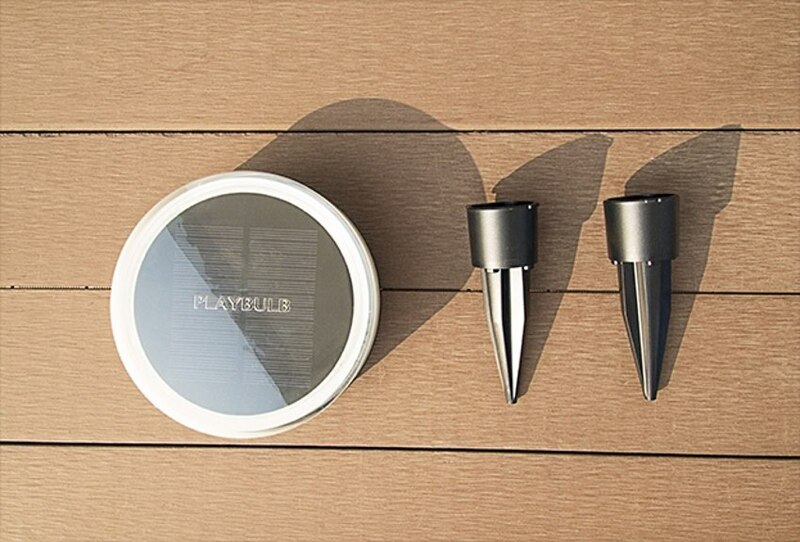 Perfect fit on these places too: Swimming pool sides, Yard / garden, Floors / stairs, outdoors, camps, trek paths, etc.